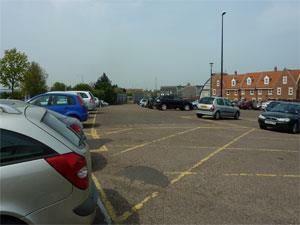 On arrival in Great Yarmouth, follow signs to the seafront. At Fullers Hill, go straight over at the roundabout, then at the traffic lights, turn left onto Northgate Street. Take the first left into the car park.